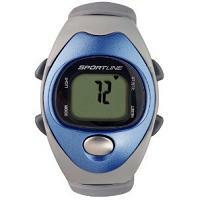 The Sportline Solo 910 heart rate monitor is a strapless heart rate monitor that uses S-Pulse technology to measure your heart rate. 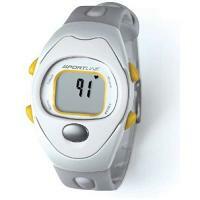 It is ECG accurate and does not require a chest strap transmitter. To measure your heart rate, simply put one finger on the sensor on the wrist watch for 3 to 8 seconds for the heart rate to be displayed. The Solo 910 measures heart rate on demand, rather than continuously. As can be seen above, there are 4 variants, differing from each other in terms of colors and sizes. The Solo 910 is one model up from the Solo 900 model. The features printed in bold are found in the Solo 910 model but not in the preceding Solo 900 model. 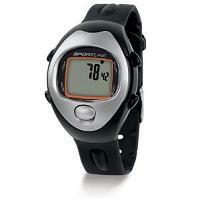 The Sportline Solo 910 is a simple, easy to use on-demand strapless heart rate monitor. Compared to the Sportline Solo 900, it also provides a countdown timer. This can be useful to walkers, who for example may have half an hour free at lunch to do a walk. They can then set a countdown timer of 15 minutes. When the timer beeps, it reminds them that it is time to walk back to the office! 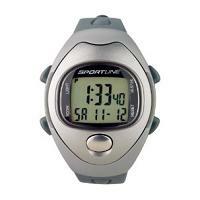 Further information: Visit Sportline's official web site.